Monsoon in movies spells magic, romance, intensity, drama or poetry. Its interpretation varies from context to context resulting in assorted vistas and multiple dimensions of the same. This incredible variety makes it one of the most breathtaking props of storytelling or to showcase the larger-than-life component of cinema. In Hindi films, soundtrack conveys a significant chunk of the script and that's why rain songs capturing the essence of downpour-triggered delight or distress is its most recognised form. Fortunately the marvels of monsoon aren't limited to celluloid and with every passing season, movie buffs rejoice in connecting to their favourite songs of this particular genre. But since music is all about preference and perception, here's a list of my 25 most favourite rain songs of Bollywood. Go ahead and post yours. 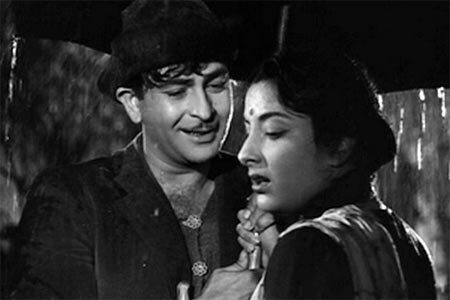 An unforgettable imagery of Raj Kapoor and Nargis in pouring rain, sharing an umbrella and a promise of eternal togetherness, ensures not a single monsoon passes without summoning this classic melody. Torrential rains. Car breaks down. Pretty driver steps out. Flirtatious mechanic breaks into a song. There's much to enjoy, on screen and off it, courtesy Madhubala's damp diva and Kishore Kumar's animated bantering in this playful track from Chalti Ka Naam Gaadi. The classical verve of Garjat barsat embellishes the opening credits of the exceptionally mellifluous Madhuabala-Bharat Bhushan-Shyama love triangle. Sahir's poetry and Roshan's tune blend in effortless rhythm to express the exhilaration accompanying rains. 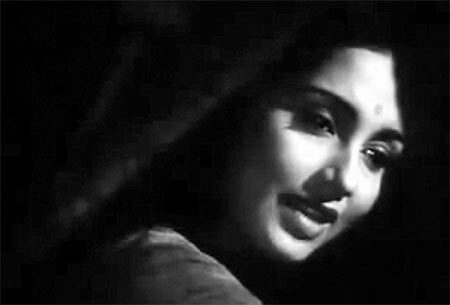 Responding to the enticing cloudbursts, a beatific Sadhana lip-syncs the syrupy texture of Lata Mangeshkar's rendition while conjuring up dreamy thoughts about her beloved in Bimal Roy's endearing fable. 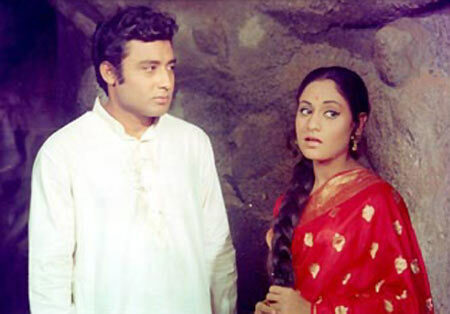 Gulzar draws poetic parallels between an eager cuckoo's longing for monsoon and a sari-clad Jaya Bhaduri's desirous child-woman Guddi through Vani Jairam's soulful rendition of Bole re papihara. The delicacy of her inevitable transition as well that undeclared chemistry between the lady and her potential groom (played by Samit Bhanja) is beautifully captured by Hrishikesh Mukerjee in this song. Evocative metaphors and unabashed canoodling pretty much describe Rajesh Khanna and Zeenat Aman's wet rendezvous on the terrace in this supremely breezy and lilting RD composition. Much prefer this to Zee's in-your-face seduction in Roti Kapda Aur Makaan's Hai hai yeh majboori. If there's a monsoon melody that is quintessential 'Bombay' before it became 'Mumbai', it's got to be Amitabh Bachchan and Moushumi Chatterjee's utterly drenched stroll to the beats of Rimjhim gire saawan around Marine Drive and other town side landmarks in all its freshly-scrubbed, water-logged glory. There are many a moods and melancholy associated with rain. At times a harbinger of happiness, on others a reminder of loneliness, the latter sentiment is sublimely conveyed in Lata Mangeshkar's earnest chant to be united with her dearest in Saawan ke jhoole. No amount of downpour can dampen the spirit of an exuberant Amitabh Bachchan, rubbing off some of his zeal on the sober Smita Patil, even as the twain partake in the madcap moves of Aaj rapat jaayen with infectious abandon. Young passion, namely newcomers Sunny Deol and Amrita Singh, find an excuse to rouse in a stunning glass house amidst tempting thunder, lightning and torrential rains in Rahul Rawail's Betaab. The duo's robust chemistry and RD's refreshing sound makes this one an enduring winner. 'Chhoti si kahani se, baarishon ke paani se, saare vaade bhar gaye,' opens the credits line-up of Gulzar's lyrical take on relationships. While this gorgeous Asha Bhosle rendition is choreographed against the tantalising scenes of nature waltzing to the march of raindrops, rains form a crucial backdrop of Ijaazat's narrative featuring Naseeruddin Shah, Rekha and Anuradha Patel. Nostalgia and wishful thinking collide around the cascading santoor and Suresh Wadkar's gloomy cry in Shiv-Hari's popular creation, Lagi aaj saawan. The sight of Sridevi soaked in a sari touch a painful chord within Vinod Khanna, bringing back memories of his dead girlfriend (Juhi Chawla), and their common love for dancing in the rain. Raveena Tandon may have gotten over her 'mast mast' days but Mohra fans continue to revere the ravishing beauty at her irresistible best whilst romancing Akshay Kumar to Viju Shah's seriously addictive and groovy rain ditty. Chemistry lessons were never this entertaining. Be it 40s or 2000s, rains and romance are synonymous with each other. Vidhu Vinod Chopra uses this splendid ploy to capture the prim romance between his leads Anil Kapoor and Manisha Koirala in the RD-Javed Akhtar concocted rhapsody, Rimjhim rimjhim. 'Ghode jaisi chaal, haathi jaisi dum. O saawan raja, kahan se aaye tum?' Innocence and merriment marks the rhythmic design of Uttam Singh's zingy beats and Shiamak Davar's clear-cut steps livened by the combined charisma and vivacity of Madhuri Dixit and Shah Rukh Khan. Vishal's minimalistic treatment, interspersed with authentic sounds of rain, provides just the right ambiance to resonate Gulzar's vivid but serene description of the same. While on screen, Urmila Matondkar instructs her nimble body language to go with the flow. 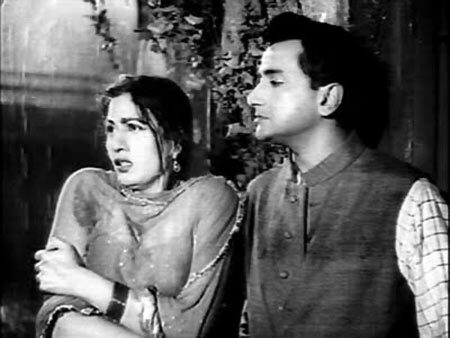 Dahek, a Hindu-Muslim romance, starring Akshaye Khanna and Sonali Bendre was a non-starter but its song, Saawan barse tarse about a newly-dating couple anxious to see each other through rain or storm is credibly conveyed in this sugary Anand-Milind blend performed by Hariharan and Sadhana Sargam. I favour the delicate, divine atmosphere and imagery constructed by Rahman and Hariharan in the awe-inspiring Nahin saamne tu over the shower-filled frames of Taal se taal. It's as though the first flush of the cool, comforting cloudburst has stepped down to wash away Akshaye Khanna's sorrows and instil in him a hope of reuniting with his estranged love. Rainfall is sacred to farmers. And so it's only understandable that the drought-stricken villagers of Ashutosh Gowarikar's period drama Lagaan break into an impromptu song in a bid to appease the rain gods with substantial downpour instead of teasing clouds. Trust Rahman to make their plea so easy on the ears of both –the almighty and his listeners. The talent behind Rockstar's imaginative verse Irshad Kamil and Sandesh Shandilya's mellow strains along with Sunidhi Chauhan's carefree delivery and Kareena Kapoor's rapturous radiance combine effectively in lending Bhaage re mann's its charming reputation. Kunal Kohli employs rain for the same purpose as many filmmakers before him, acknowledgement of ardour with some help from Jatin-Lalit's dulcet title track of Hum Tum. Needless to say, Saif Ali Khan and Rani Mukerji have no problems slipping into the lovey-dovey, dripping skins of their previously sparring characters. Rocking soundtracks are a given in Emraan Hashmi starrers. And so you have him recalling rain-themed memories of serenading co-star Shamity Shetty to the snazzy Woh lamhe in Zeher. Performed by Pakistani band's vocalist Jal's Atif Aslam, the song turned into a huge rage, both in its unplugged and remix avatar. Kohli's fascination for rain songs continues in the ambitious romance drama, Fanaa. This time it's the other Khan, Aamir and Rani's cousin, Kajol's turn to get all steamy and sensual consuming their love against the gentle J-L ditty, Yeh saazish hai boondon ki. The sheer dynamism and foot-tapping nature of this superb rain number from Guru, whether it's playing out of an earphone or television screen, is much too delightful to not give into. Perhaps that explains Aishwarya Rai's admirable gusto in bringing its magic to big screen.